If you haven't made yourself a cute chalkboard to , there are some easy and fun first day of school chalkboard printables you can use, like these from She's Crafty. She has one for pre-k to 12th grade. 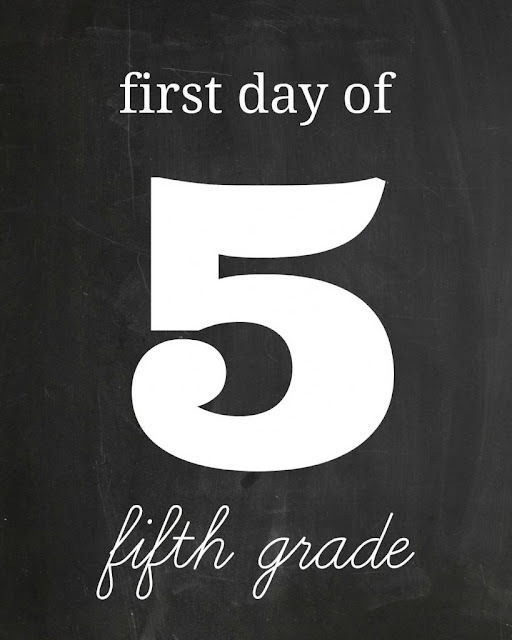 I don't have a 5th grader this year, but my daughter (who is going into kindergarten) told me that fifth is how you say 5 in cursive, so she might just have to hold this one up for a picture before school. Another fun set are these from Classy Clutter. 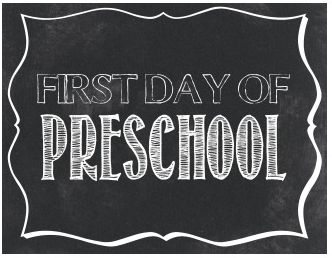 They even have everything from preschool to 12th in their first day of school printable set. I love the decorative border on these. 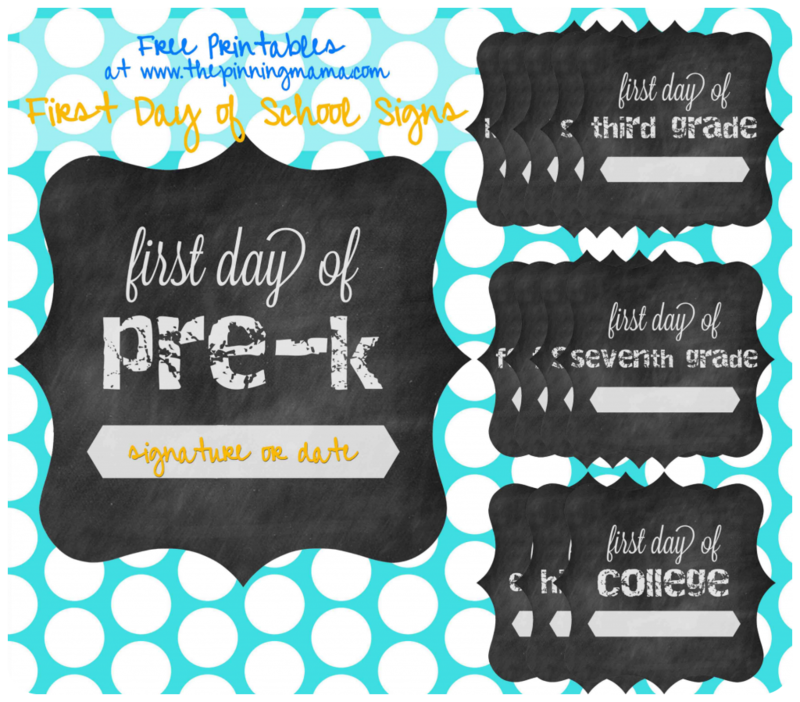 This fun set of printable first day of school chalkboard signs from The Pinning Mama has a place for you to add a little info of your own. You could put the first day of school or have your kiddo write their name. This set goes all the way through college! 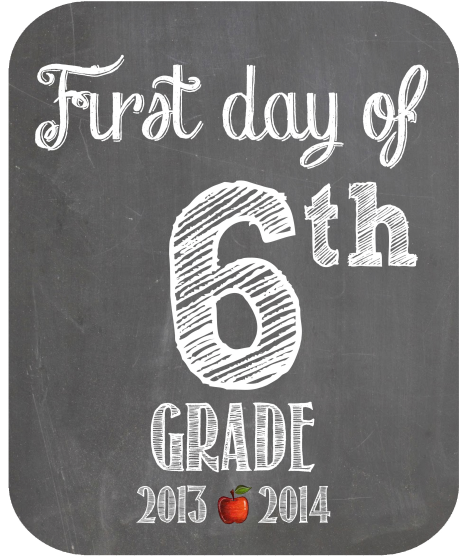 Gemini Celebrations has a set of printable chalkboard first day of school signs that have the school year already printed on them. Her set only covers through 6th grade, so if you only have littles starting school (or a middle schooler that wouldn't hold a sign anyways) you can check out this cute set. And this set of first day of school chalkboard photo props from Jones Creek Creations covers all of the grades (including college) and even has a fun graduation version you can hold onto for the end of the year! Thank you for featuring my chalk board printables! Yay!